Les Tomkins, now aged 86, was an early chronicler of the London modern jazz scene, both as a writer for Crescendo magazine, and as an unofficial recorder of live gigs at the original Ronnie Scott’s club, amongst others. He would perch with his Ferrograph Mark II on the wooden stairs that led down to the basement at 39 Gerrard Street and, with the proprietor’s blessing, record appearances by all sorts of people, including visiting American jazz artists. But he also captured for posterity some iconic British artists, none of whom was more iconic than be-bop pioneer Tubby Hayes, who enjoyed an extraordinary two-and-a-half year weekly residency at Scott’s that finally ended in August 1964, when the members of his Quintet went their separate ways. This new Gearbox LP features a recording made by Tomkins on 8th February, 1964. That night, the Hayes Quintet were playing opposite recent US arrival Mark Murphy, who was appearing with the Stan Tracey Trio. The album consists of a single track that runs over both sides – Modes and Blues. It reminds us that for London in the first half of the Sixties, the soundtrack was not pop but jazz: Sonny Rollins’s music for the Michael Caine film Alfie, two years later, is in a similar vein – loose and discursive, fresh as paint, and full of hip, quirky melody. Almost the whole of the first side consists of an epic Tubby Hayes tenor solo –an uncommon approach in those days, just as it is now. The tune starts with Freddy Logan’s quiet, ruminative bass solo (reminiscent of the start of So What), then in comes Tubbs on flute, with quiet piano chords from Terry Shannon, joined by Jimmy Deuchar’s trumpet, and punctuated by Allan Ganley’s hi-hat. After this lyrical opening statement, Hayes switches to tenor, and we’re off into uptempo swing. The structure of the piece is modal, à la Coltrane’s Impressions, and it continues over to side two, where Deuchar plays another extended solo, followed by solos from Shannon and Logan. Hayes and Deuchar trade fours to finish, and Ganley finally gets to show off his chops for a few bars. Bearing in mind the circumstances in which it was captured, the quality of the recording is surprisingly good. The sound level of Shannon’s piano is the only drawback, since it was clearly located furthest from the microphone. 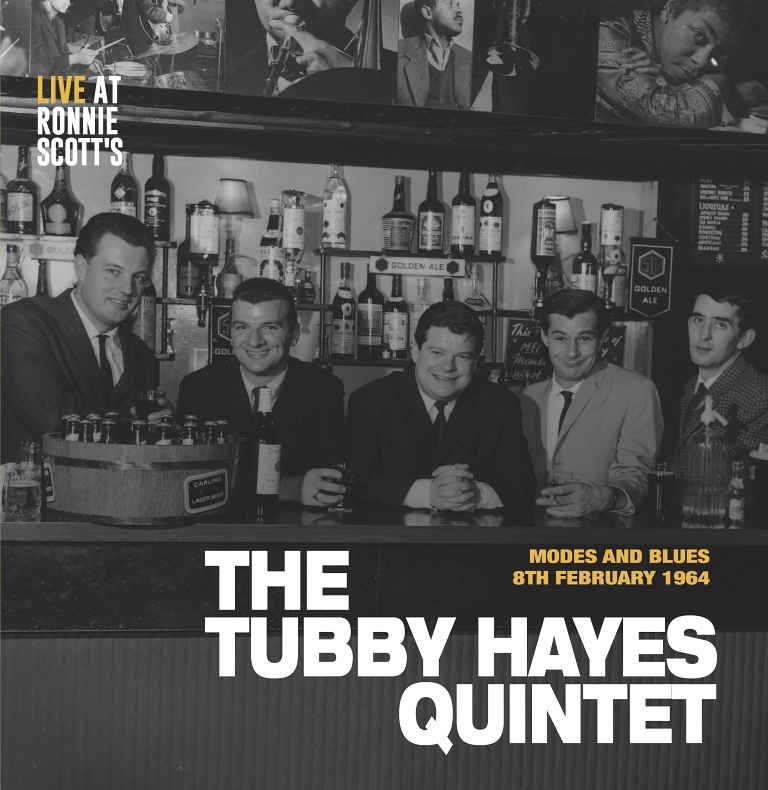 Gearbox are to be congratulated for reminding us of the quality of Tubby Hayes’s music, particularly in a quintet that was then at its peak. Anyone wishing to know more is advised to read Simon Spillett’s definitive biography The Long Shadow of The Little Giant (Equinox, 2015).